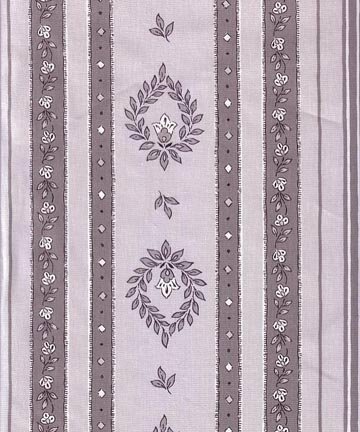 This gray Belgentier border pattern has five 6.5-inch wide floral borders and four 2.25-inch floral borders with additional thin stripes running lengthwise down the fabric. Perfect for tablecloths curtains or quilting this 100% cotton fabric is approximately 62.5" wide. The image shown is approximately 8 inches wide. Coordinates with small print PR495. 8 inch repeat. 15" x 22" pieces available in category "French Quilting pieces" QSPR494.